From our wealth of experience, we are certain that it’s not possible to trust your computer when your iPhone is disabled. However, our research on “iPhone is disabled can't trust computer” yielded some possible ways to tackle this issue. Sync you can’t trust the computer, we’ve outlined and discussed ways to get your iPhone out of disabled status. We’ll progress from the most effective solutions in order to save your time. That iPhone can’t trust computer is entirely not a problem because iMyFone LockWiper can get your iPhone out of disabled status in mere minutes. It can remove iPhone locks without you trusting your computer or having to enter the last passcode you remembered. Just with 3-step process, you can easily enable your iPhone again. You Shouldn’t Miss out LockWiper! It enables your disabled iPhone in any scenario. You don’t need to trust computer. It unlocks iPhone screen lock without knowing the password. You can get into disabled, locked or broken iPhone. It works for any lock type, including Face ID, Touch ID, 4/6-digit passcodes. It also removes Apple ID of your iDevice without password when your device is activated. It deserves your trial because it’s easy to use, quick to finish and highly recommended. Step 1. 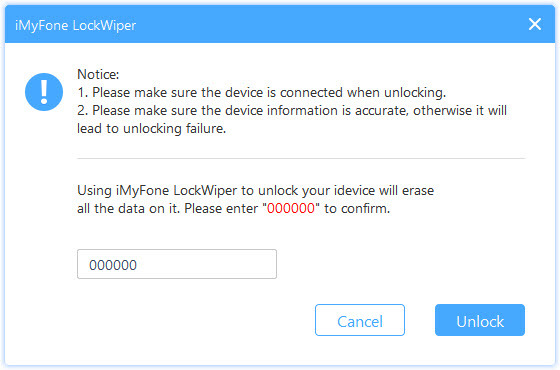 Download, install and launch iMyFone LockWiper on your computer. Then, click the “Start” tab and connect your iPhone. Step 2. 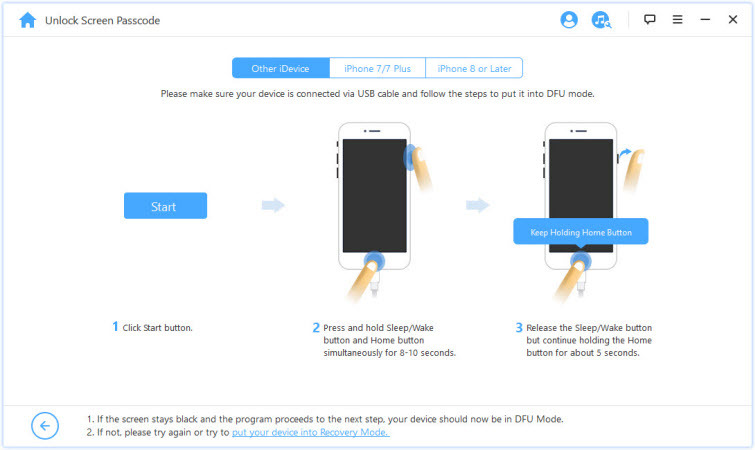 Put your iPhone in DFU/ mode: the on-screen prompts can help you switch your iPhone to DFU mode. Step 3. 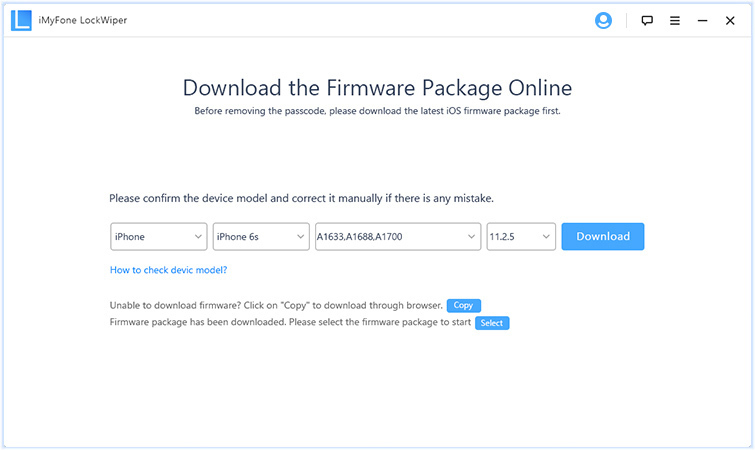 Download the firmware package for your iPhone by clicking the “Download” tab. Then, verify your iPhone by clicking the “Start to Verify” tab. Step 4. Click the “Start Unlock” tab, enter “000000” into the box, and click “Unlock” to unlock iPhone without trusting your computer. LockWiper’s free trial allows you to check whether it’s effective for you or not. 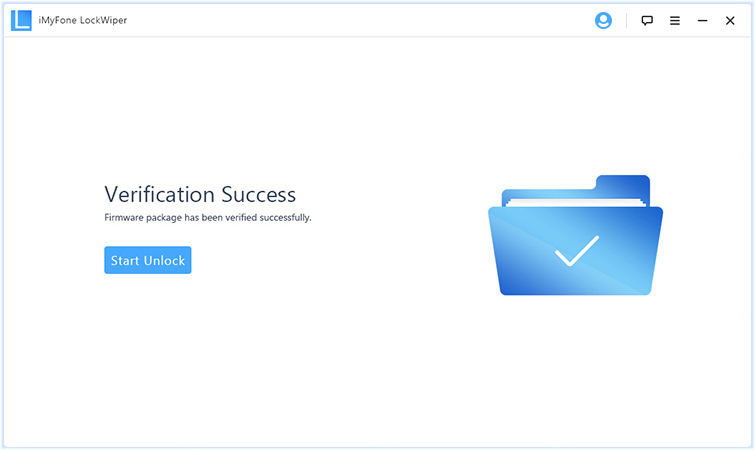 But it will require you to register when you click “Unlock” button at the last step. If you want to complete the whole process, just purchase the specific license and register it. Since “Trust your computer” is unique to unlocking a disabled iPhone via iTunes, it makes it possible to erase your disabled iPhone with iCloud even when you’ve not trusted your computer. Hence, if you’re having issues with trusting your iPhone over your computer, you can use iCloud’s Find My iPhone feature to erase your iPhone and set up a new passcode. Step 1. Go to www.icloud.com and log in to iCloud using your Apple ID and Password. Step 2. Navigate to “Find iPhone” and select it. Step 3. Click “All Devices” and select your disabled iPhone on the page. Step 4. Click “Erase iPhone” to reset your disabled iPhone. You can also restore your iCloud backup to your iPhone after wiping it. Your iPhone should log in with your Apple ID and password. The “Find My iPhone” should be enabled. You should know the Apple ID and password that your iPhone log in. Your iPhone should have internet. Step 1. Connect your iPhone to your computer and open iTunes. 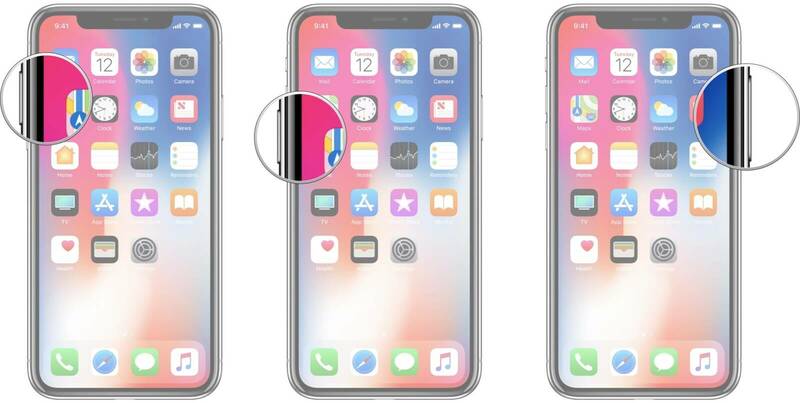 On iPhone 8/8 Plus or iPhone X or Later: Press and release the Volume Up button, press and quickly release the Volume Down button, and press and hold the Side button until recovery mode appears. On iPhone 7 or 7 Plus: Press and hold both the Side button and Volume Down at the same time until recovery mode screen appears. On iPhone 6S Plus or Earlier: Press and hold both Home and Side buttons until recovery mode screen appears. Step 3. Choose “Restore” and iTunes will wipe your iPhone and download the latest version of iOS on your iPhone. Wait for the process to complete before setting up your iPhone. In a word, iMyFone LockWiper is the quickest and easiest way to unlock a disabled iPhone without trusting the computer. 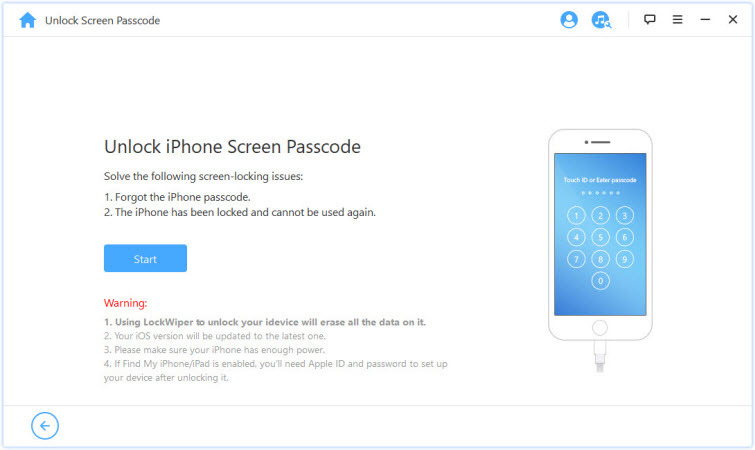 So, solve all iPhone issues and errors using LockWiper.